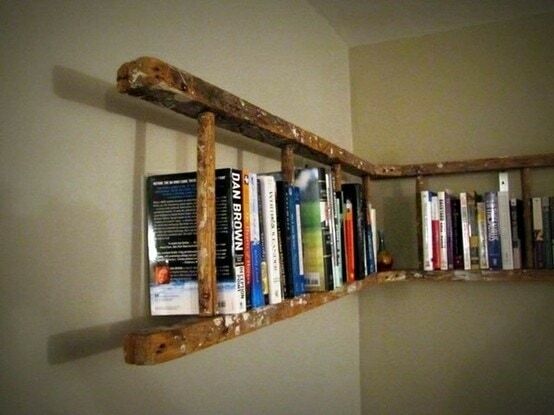 Here are 21 examples of DIY ladder bookshelves that we found inspiring. 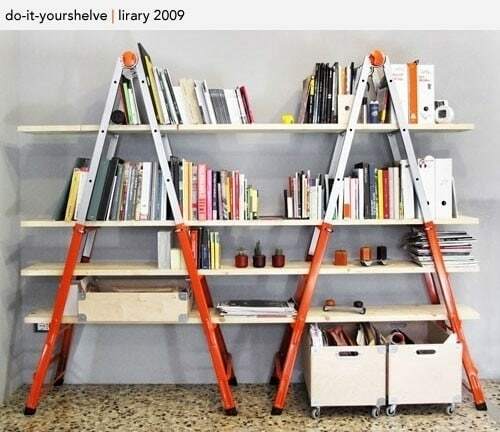 Using some or all of these approaches, you can create a custom ladder bookshelf that’s all your own. 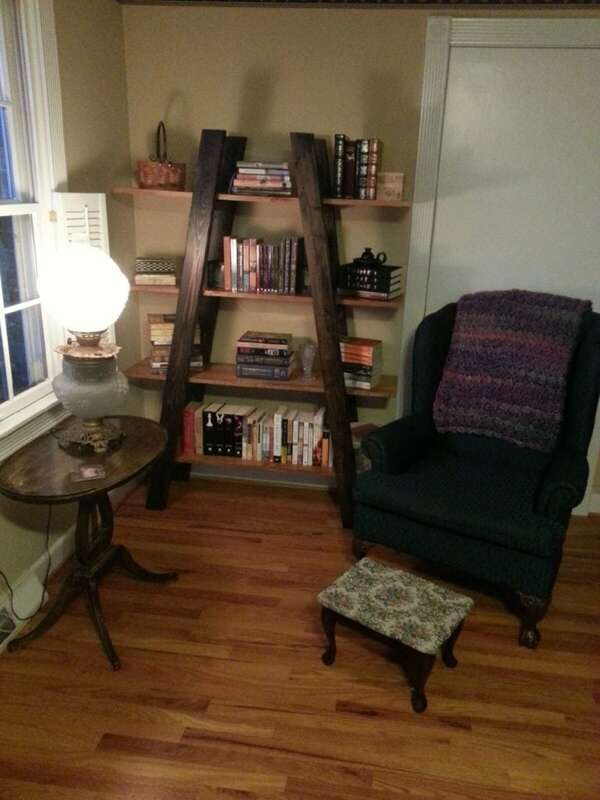 Or if it just isn’t working out, here are a few other ladder bookshelves to choose from. 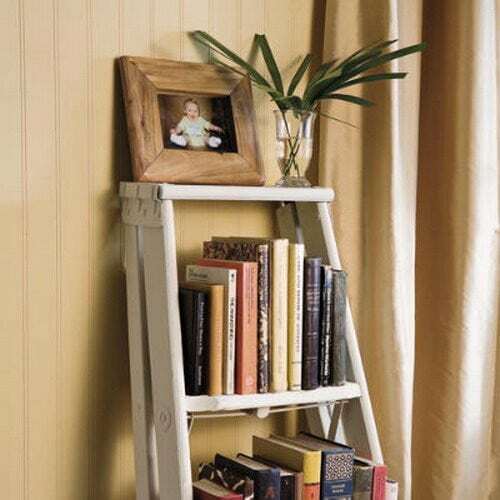 This simple, easy-to-make ladder shelf was made with one half of a tall ladder. D-rings were added to the top of the ladder so that it can easily attach to the wall, and barnwood pieces were screwed onto the rungs to give them more shelf room. This blogger left the wood alone, giving it a natural, aged look. 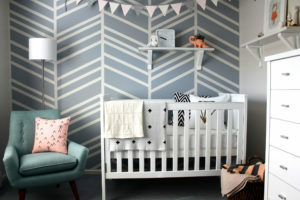 But you can just as easily stain or paint the ladder to match your style and the color schemes of your room. 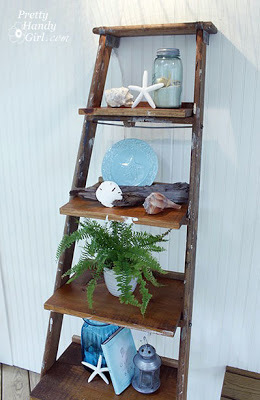 Another nice touch with this ladder shelf is the color contrast between the ladder, which is kept natural, and the shelves, which are painted a nice, soft blue color. This kind of contrast can help you keep the natural look of old wood while giving it more dynamic contrast to match the rest of your color scheme. 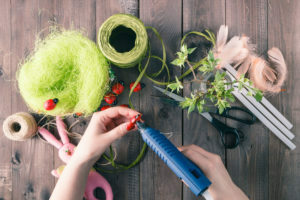 Sometimes doing it yourself just doesn’t cut it – maybe it’s because you aren’t good at cutting things, or maybe you have one of those wonky hands that just can’t line something up for the life of you. For you, we present the bestselling ladder bookshelf on Amazon. Copy it’s design, buy it outright or try to mimic it’s beauty. The choice is yours, and yours alone. It may also be your life partner’s choice if you guys make decisions together. While most DIY ladder shelves are made of wood, this concept is a nice change of pace, combining metal ladders with wooden planks. Because the ladders aren’t wood, they aren’t easily changed or altered, so the beauty in this shelf is keeping them as is, and adding the wood planks to the rungs. In this example, the wood planks are left natural, but they can also be painted or stained to match either the room or the ladder itself – for example, blue planks might go well with the orange parts of the ladders above. 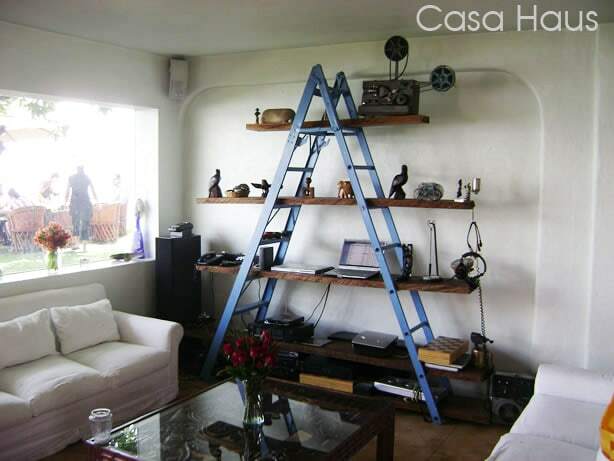 This ladder shelf also uses the entire ladder, giving you more shelf space but also requiring more space in your room of choice. What we love about this ladder is the thick wood planks, and the fact that the ladder is painted and the planks keep their natural look. Compare this to the example of keeping the wood of the ladder natural and the planks painted. In both examples, the contrast of the color and wood look wonderful, and you can play around with painting either part (or both!) in order to get the look you like most. For a little change of pace, consider putting the ladder horizontal. You can hang this from the ceiling, or nail it into your wall. The beauty of this style is that you don’t necessarily have to add anything to the ladder, because the space between each rung acts as a natural shelf space. 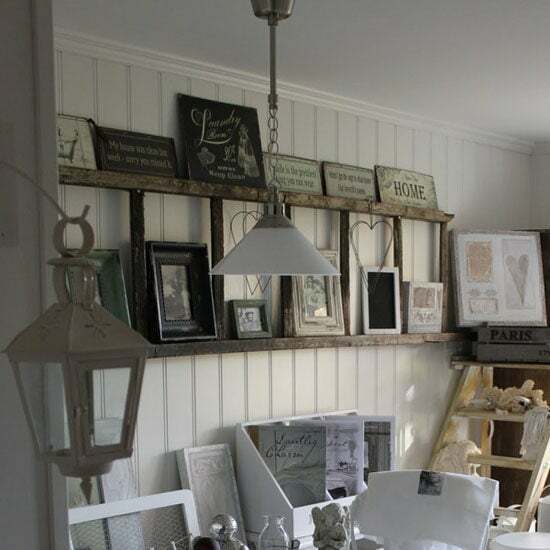 This particular example is just one side of the ladder, but if you want to put larger or wider items on the shelves, you can add something to make the ladder stick out from the wall more, giving it a wider space to work with. Like the DIY ladder bookshelf above, this one is hung on the wall horizontally. This one is unique in that it covers two different walls and one corner, so it requires altering your old ladder into a 90-degree angle. This creates a great look for that empty corner that never gets any attention. Time to change that. 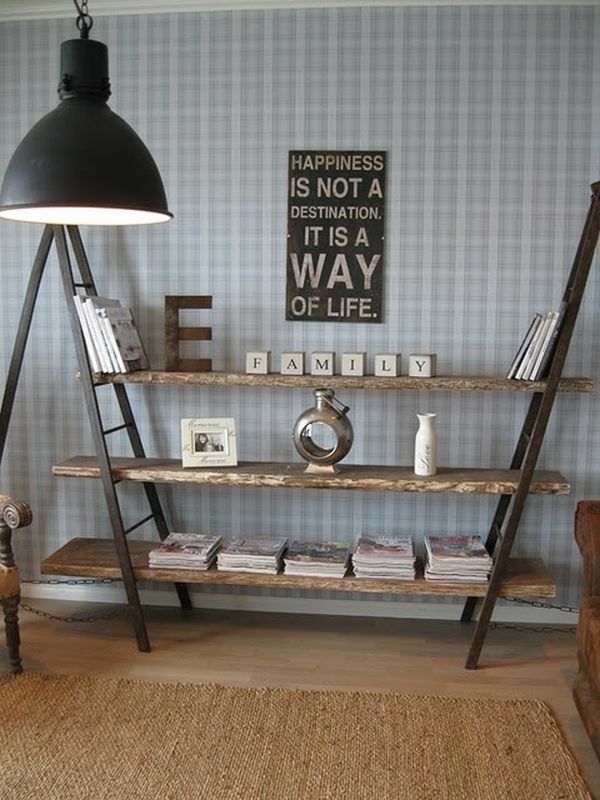 Another variation of using one side of an old ladder, this shelf uses wide planks for plenty of shelf space. 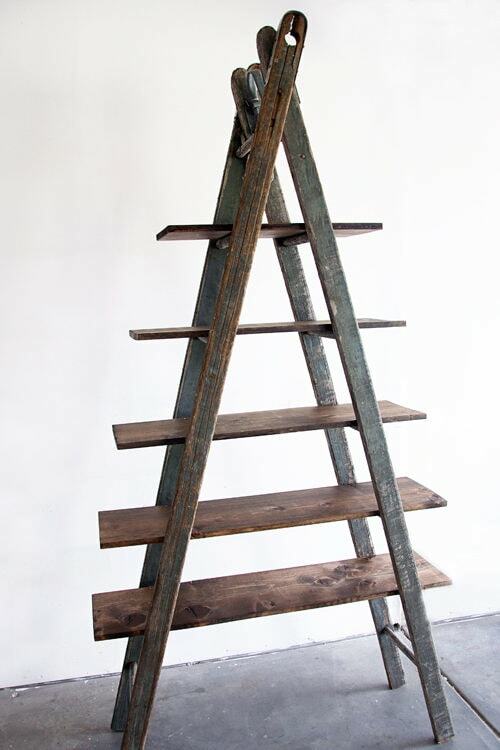 This particular ladder also has the random, natural paint splotches that often come with old ladders, and it makes for a great rustic look. 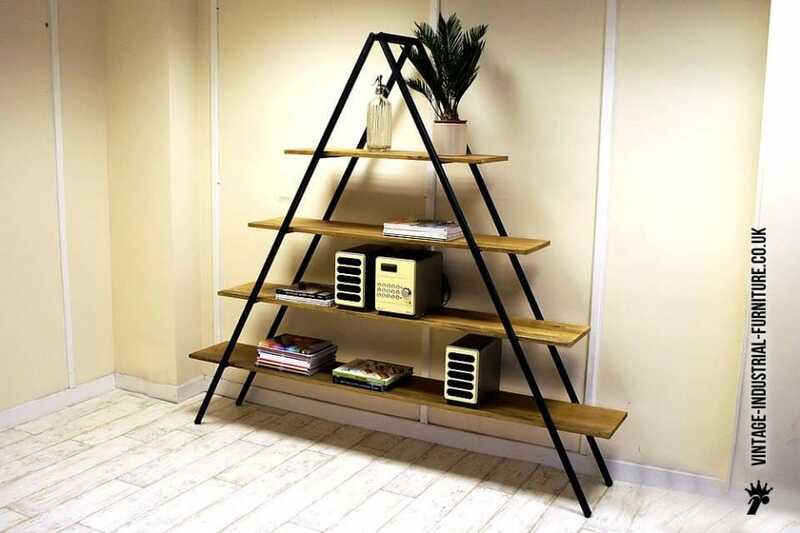 We love this ladder shelf because of the shelves themselves: each one has a back and sides that give more depth to your shelves and allows you to put more items on them without having to worry about them coming too close to the sides of the shelves. In this example, the dishes look great and because they’re more breakable, the sided shelves are the perfect way to keep everything looking good and feeling stable. This sleek white ladder shelf comes from the renowned Ana White. 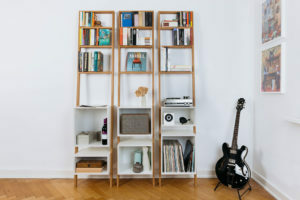 Like the example above, it has shelving with sides and backing, so that you can put things right up to the sides without having to worry about them falling off. This look is great for offices or other rooms that you need organizational things like file folders, boxes or the like. 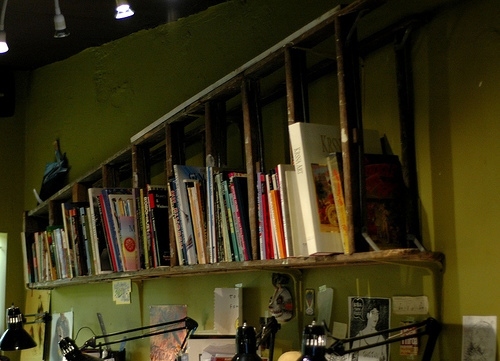 Give your wall some funky angles with this DIY bookshelf. This example uses two inverted ladders, but you could just as easily use one and add the planks to it the same way. 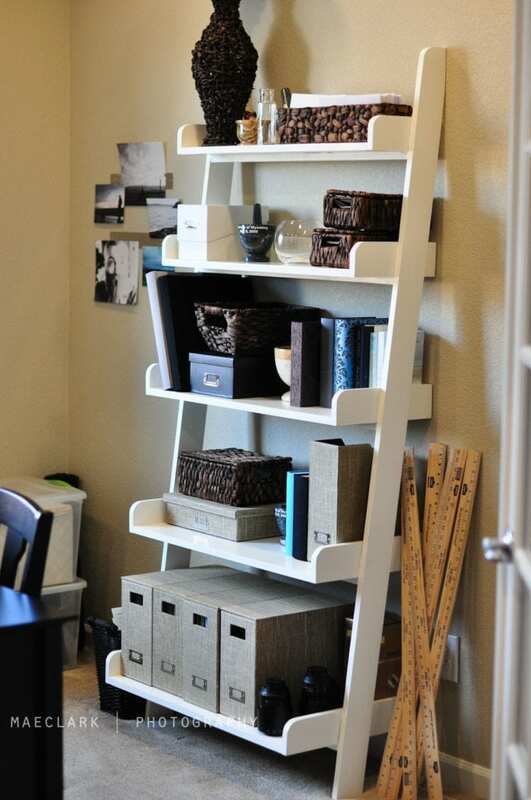 This is a great alternative to the normal, right-side-up ladder shelves that you normally see. We also really like the way the books pop when compared to the white of the ladder shelves. 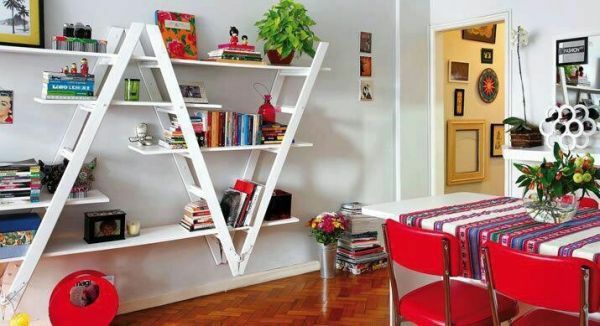 Who says your ladder needs to be tall to be a bookshelf? This little guy is perfect for your favorite reading area. 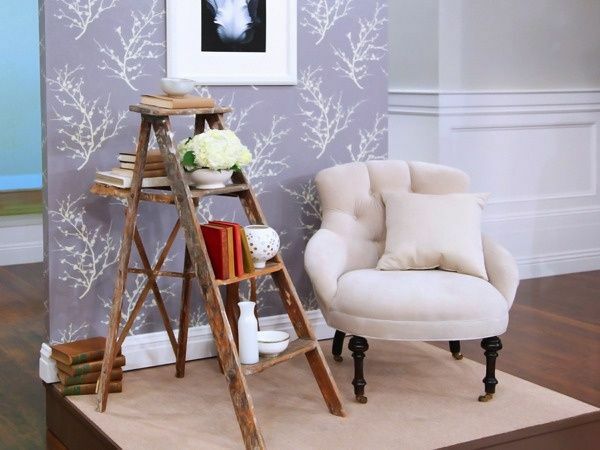 A small step ladder is also easier to stain, paint or adjust in order to fit your living spaces, and it can double as a side table if the shelf space allows. This ladder shelf is unique because it uses two ladders to frame the shelf space. Where most of the “double ladders” we see have planks running through both sides of the rungs, this one keeps everything centered between the two ladders, giving it a cool framing effect. Depending on the style of ladders you have, you may need to do some minor adjusting to keep the two ladders at a good, sturdy angle. What we love about this shelf is how the outside beams come together in the middle to really bring the focus inward, rather than some of the shelves that often have the opposite effect. 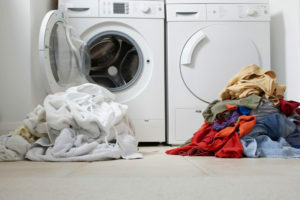 You can take advantage of this by placing cool items at the center of the shelf and giving people something that their eye will naturally follow and move toward. 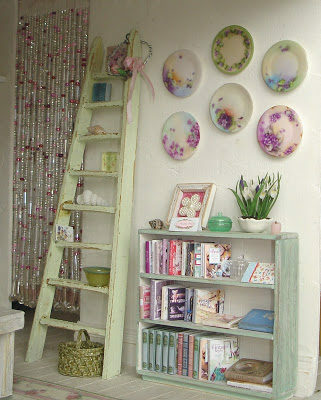 This ladder shelf is a great example of how to space out your shelves using the rungs of your ladder. You don’t necessarily need to put one shelf per rung, and in this case, there’s an empty rung between each shelf. This gives you enough space to work with larger items. On the other hand, if you’re using smaller books and want the shelf to look packed and neat, you can add a shelf to every rung to give it a more traditional bookshelf look. On this ladder, a shelf is added to each rung, giving it a more uniform look as far as space between shelves go. We love how this shelf uses longer shelving as you work your way down to the floor, which parallels the width of the ladder as it goes down, too. This resting ladder shelf is unique because both parts of the ladder are still intact. 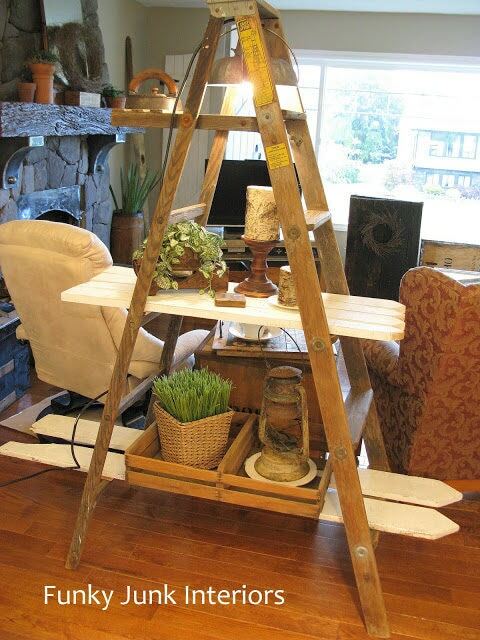 The benefit of this style is that it can give the ladder a little more stability when resting against the wall. The best type of ladder for this style is one that has a thinner backside so that it doesn’t stick out too much, unless you’re into that type of thing. If you don’t want to put up books, you can also do something like this: use the rungs themselves to hang pictures or other items. This is a great way to keep the natural look of the ladder rungs, where the rungs aren’t hidden by wooden planks or anything else you use as shelving. We’re a big fan of wrapping fabric around the rungs to give it a little extra somethin-somethin. 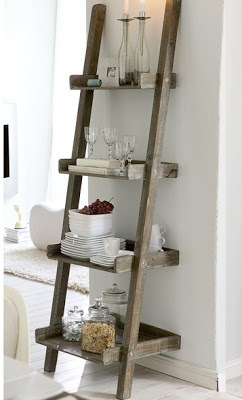 Though not technically a ladder, this shelf is a similar style, and we just love the idea. Using an old door, shelves of different width are attached to the back, allowing the door to rest against the wall. Trust us when we say we’re on the lookout for an old door for this project! 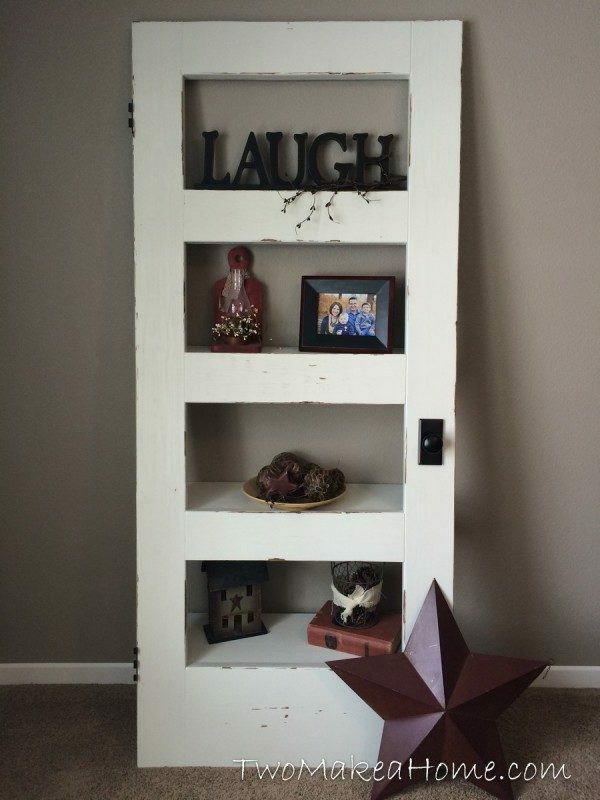 Another plan from Ana White, this DIY bookshelf is great for those who just can’t get their hands on an old ladder. Using wood planks, you can create a truss-shaped shelf that mimics the style of the ladder without having to have one. 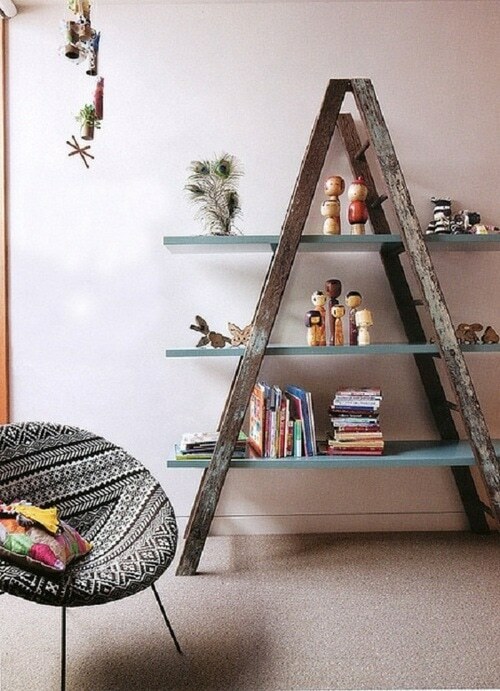 This ladder shelf looks wonderful because of its simplicity. Each rung is thick enough to not require wood planks, and the nice, sparsely populate shelves keep the focus on the ladder itself, which is painted a chic, light green. 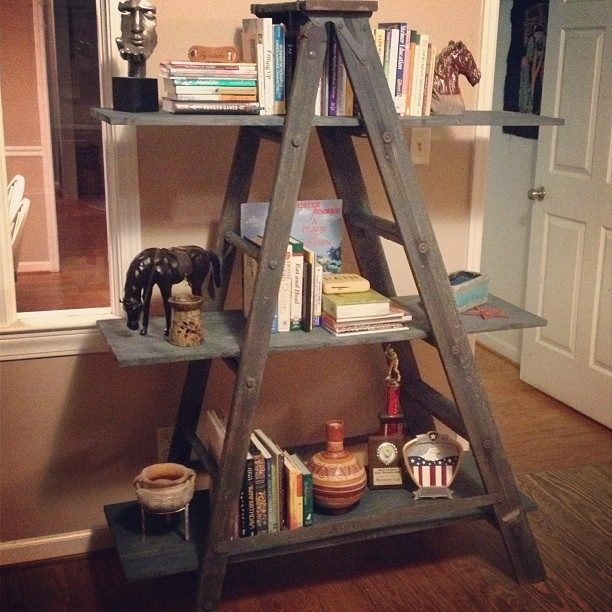 This great A-frame style ladder shows that you can make a good DIY bookshelf using just about any type of old ladder. This one is ideal for a space that’s smaller because it doesn’t require both sides of the ladder to be extended out. We also love the idea of combining the light natural wood of the ladder with the bright white of the shelves. It’s the white picket posts that we love about this DIY shelf. The painted wood along with the natural wood of the ladder makes for a neat color scheme that’s warm, rustic but still innovative. This just goes to show that you can get as creative as you want with the shelving itself – you’re not constrained to just simple wood planks. After checking out all these projects, we’re currently working on a ladder bookshelf that is three levels of horizontally-placed ladder shelves. It’s not something we’ve come across yet and think it’ll look great when we get it right. We’ll post as soon as it’s done.